Knowledge of the materials and expertise in selecting and using them in the proper way. All of this allows us to design and make the best slippers! Boiled wool is obtained by felting cloth, which is made by knitting wool yarn and then milling it, causing it to shrink up to 30%. The fabric thus obtained is heavy, warm and compact but, at the same time, it is also highly breathable and comfortable. 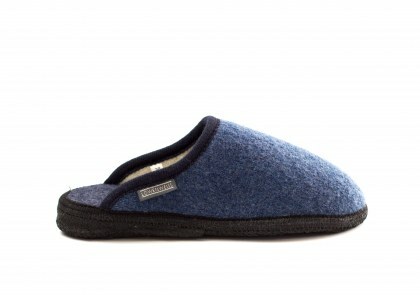 Wool felt is created by stitching together a set of pressed fibres, which are then milled. This fabric is characterised by excellent resistance and is therefore ideal for manufacturing the insole. We use natural latex for manufacturing the sole. Latex is a natural raw material, mainly used in the field of medical surgery, and is derived directly from the sap of a tropical tree. 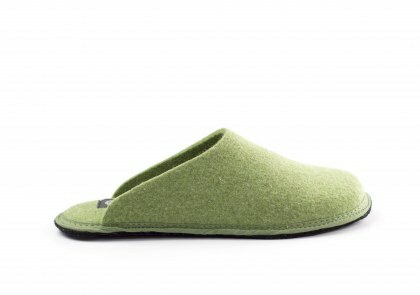 The sole is made by combining a felt cloth with natural latex. Our latex soles are hypoallergenic, breathable, insulating and resistant to stress.